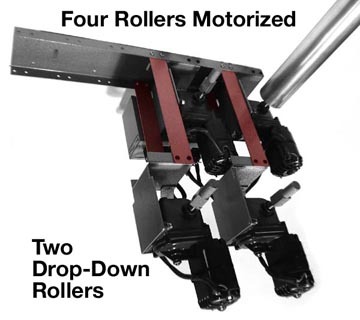 • The first motorized backdrop roller system introduced to the photographic industry. • With quality in mind, every system is exceptionally designed for durability and dependability. • government agencies, • military and • civilian. PLEASE NOTE: Due to the physical size of this system, we must provide you with a freight quote later. Please call Toll-Free or send an email with your Specific Address for a freight quotation. 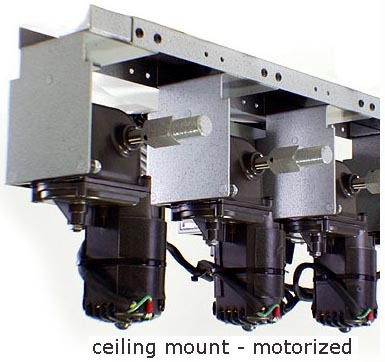 • Motorized systems for wall or ceiling mounted installations. • Ceiling mounted units can support up to four roller mounted backgrounds greater than 3 1/2'' dia. • Add an additional 3 roller mounted backgrounds with special ''drop-down'' brackets. Call for details. • Wall mounted units can support up to four roller mounted backgrounds greater than 3 1/2'' dia. 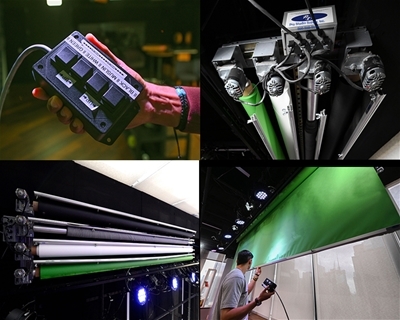 • Motorized units use industrial 110V motors to lift your heavy backgrounds. • Standard remote control cord is 15 foot in length. 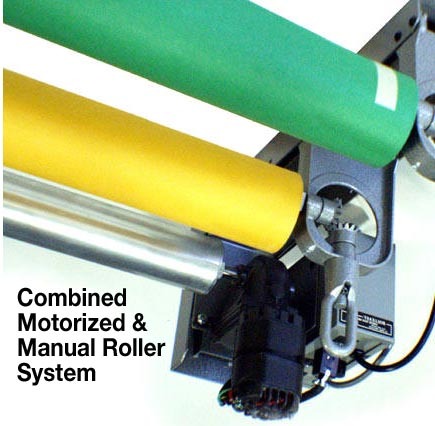 See the link for Background Roller System Accessories below.